When King Mohammed VI of Morocco visits the White House on Friday, President Barack Obama plans to speak to him about democratic reforms in the North African nation and other regional issues such as extremism and economic development. But a longstanding issue involving Morocco’s disputed southern territory, Western Sahara, might come up in light of Morocco’s recent diplomatic rows with Algeria. Algeria supports Western Sahara’s independence movement and houses refugees connected to the fight. 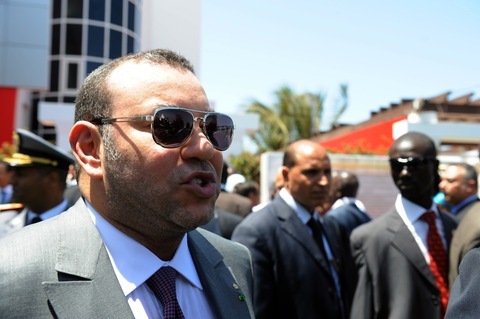 Morocco temporarily recalled its ambassador from Algeria last month after the Algerian president called for human rights monitoring in Western Sahara. A U.N.-brokered ceasefire agreement between Morocco and Western Sahara in 1991 directed a referendum for self-determination in Western Sahara which has yet to take place. The United States is concerned about al-Qaida-affiliated groups expanding in the Sahara, and a breakdown of cooperation in the region might encourage such expansion.